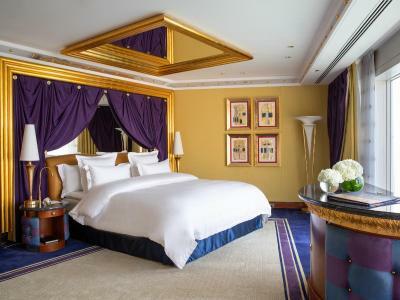 Lock in a great price for Burj Al Arab Jumeirah – rated 9.2 by recent guests! GREAT DESIGN; WERE IN HUGE WELL APPOINTED DELUXE 2 BEDROOM SUITE. FACILITIES OVERALL WELL DESIGNED WITH GREAT FUNCTIONALITY. There is a lot to love about this hotel. 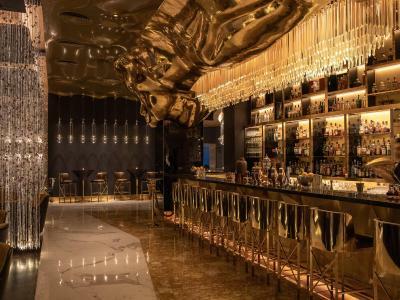 The decor is a lot of gilded gold which is not quite my taste but it's very nice. The carpets are really awesome and the views are spectacular. Great location!The valuable room.Most staffs are nice. The humus was so delicious. The bedding was so elegant and comfortable. Jacuzzi, spacious rooms & complimentary gifts were the best. Made us feel special. Personal assistance for check in inside the room was impressive. The decor and experience are second to none. The decor is over the top, but still very stylish. The infinity pool at the rear is amazing!! 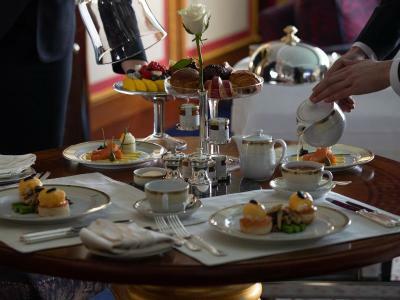 Everything from the room decoration, the staff specially the butler, and service and quality of food. Everything was just what you could imagine from the best hotel in the world , The staff organised a birthday cake for my son and it came in a way as if you would have to pay a lot of money for it , But it was for free. Burj Al Arab Jumeirah This rating is a reflection of how the property compares to the industry standard when it comes to price, facilities and services available. It's based on a self-evaluation by the property. Use this rating to help choose your stay! 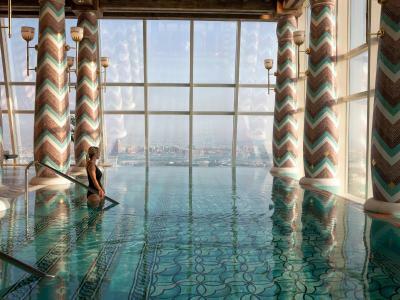 One of our top picks in Dubai – and a guest favorite. Located on its own island, Burj Al Arab Jumeirah features ultra-luxurious suites overlooking the sea, 9 signature restaurants and an opulent full-service spa. Guests may arrive at the property by either one of the world's largest chauffeur-driven fleets of Rolls-Royce's or alternatively by a dedicated helicopter transfer service. The new terrace offers two swimming pools, 32 luxury cabanas, a restaurant and a bar transforming the hotel into a full resort. 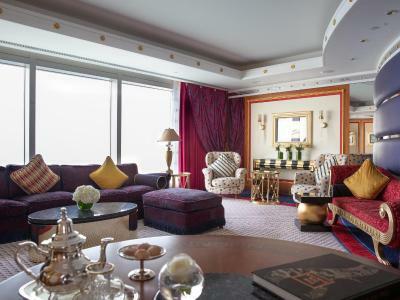 Featuring floor to ceiling windows with panoramic view of the Arabian Gulf, each suite includes an iPad, complimentary WiFi, a 21-inch iMac, and widescreen interactive HD TV. Bose iPhone docking station and media hub is also available. The Sky View Bar is suspended 656 feet above sea level and is idea for afternoon tea and cocktails. 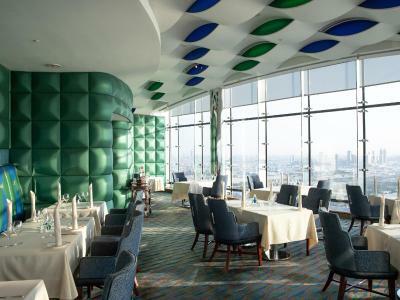 Al Muntaha is the Burj Al Arab's signature fine dining restaurant serving contemporary European cuisine. Each experience at Talise Spa has been carefully crafted and exclusively developed using the world’s most luxurious products to leave you utterly pampered. Both ladies and gentlemen’s relaxation areas feature an aqua retreat. 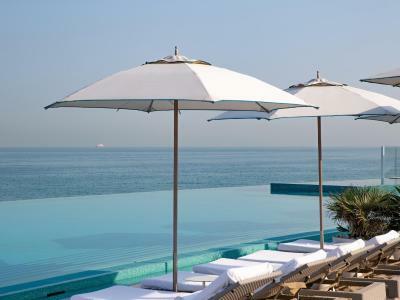 Facilities include separate indoor infinity pools, hot tub and treatment rooms overlooking the Arabian Gulf complement the spa, along with saunas, steam rooms and plunge pools. Located directly on the beach, Villa Beach restaurant is open daily for lunch and dinner. 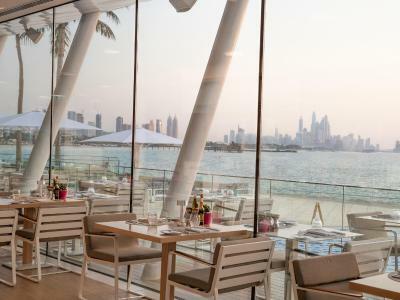 The Summersalt Beach Club is exclusive to Jumeirah Al Naseem and Burj Al Arab Jumeirah suite guests who will be accommodated on the first come, first served basis. 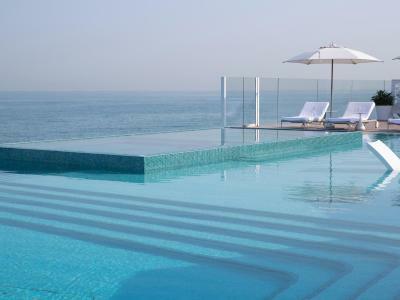 All guests will get access to the newly refurbished Jumeirah Beach Hotel private beach. Featuring brand new cabanas, sun loungers, along with magnificent views of Burj Al Arab Jumeirah and the Arabian Gulf, it creates the perfect beachside spot exclusive for Burj Al Arab Jumeirah guests only. Burj Al Arab Jumeirah offers unlimited access to the water sports activities at Wild Wadi Waterpark™, located just a 5-minute walk across the island bridge. Souk Madinat Jumeirah is a 15-minute walk away. 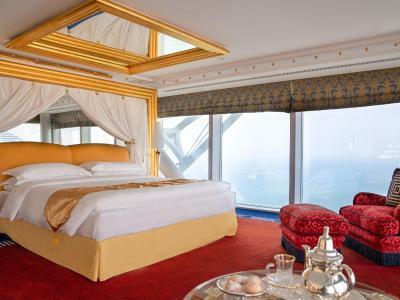 When would you like to stay at Burj Al Arab Jumeirah? Spanning 1830 ft² over two floors, the one-bedroom Deluxe Suite offers endless views of the Gulf. This Suite is designed to create a most exquisite experience promising memories to last a lifetime. 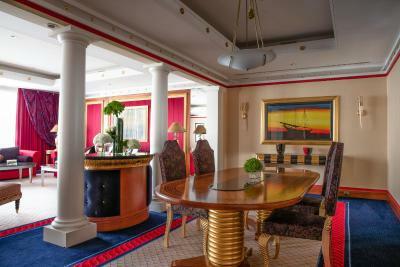 This suite can only accommodate 2 adults and 2 children under 12 years old. 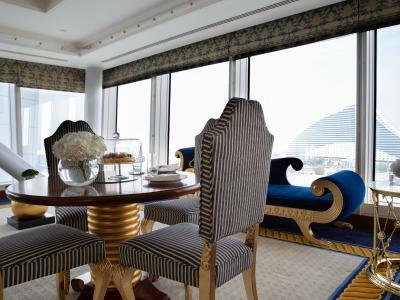 With two levels of floor-to-ceiling windows offering 180 degree views overlooking the ever-changing panorama of Dubai and the Gulf, the one bedroom Panoramic Suite is perfect for modern day princes and princesses. Stretching an impressive 2422 ft², this suite is perfectly located to indulge and watching the world pass by. Welcome to the decadent 3606 ft² two bedroom Deluxe Suite. Perfect for family and friends, this heavenly suite spans two impeccable levels and features magnificent views of the Gulf throughout. This space includes two lounges, two exquisite bedrooms overlooking the sea, a private dining room, two master bathrooms, a private bar and a butler’s kitchen. This suite has a flat-screen TV, air conditioning and seating area. This suite features air conditioning, mini-bar and soundproofing. 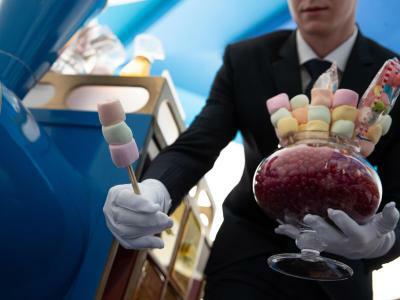 House Rules Burj Al Arab Jumeirah takes special requests – add in the next step! Free! Up to two children from 4 to 11 year stay free of charge when using existing beds. 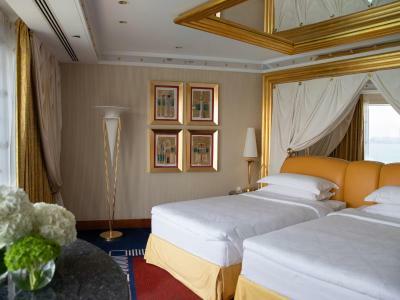 One older child or adult is charged AED 1500 per person per night in an extra bed. Burj Al Arab Jumeirah accepts these cards and reserves the right to temporarily hold an amount prior to arrival. 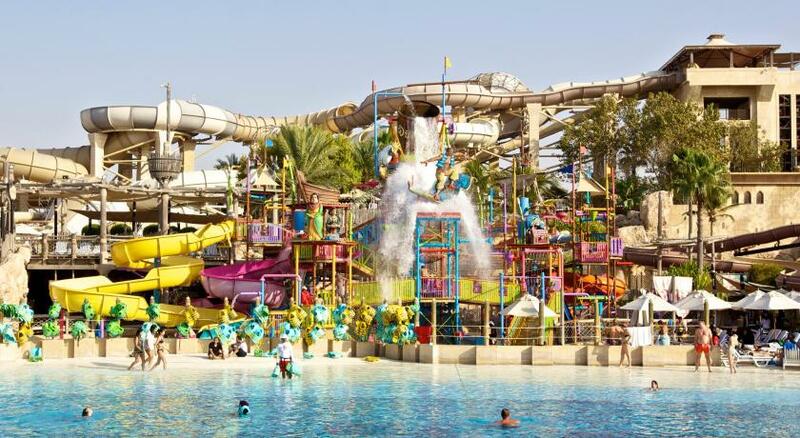 All guests can enjoy unlimited complimentary access to Wild Wadi Waterpark™. Burj Al Arab Jumeirah offers complimentary access to Summersalt Beach Club located at Jumeirah Al Naseem Hotel. 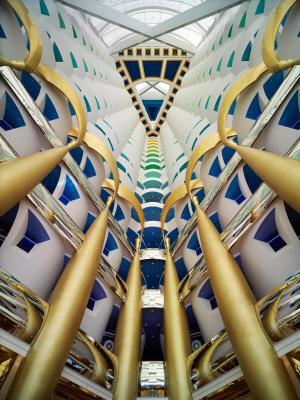 Guests including children staying at Burj Al Arab Jumeirah are required to present valid original identification upon check-in, which may be either a Passport or a GCC/ UAE National ID card. Children are charged an extra amount of AED 150 net per child per day when booking the Bed And Breakfast rate. The WiFi is so slow that frequently even WhatsApp messages wouldn’t go through. Forget about streaming a video which you can do in most other hotels. Everything is marvelous! Thanks for the best service in Dubai! Nothing at all. Cannot list any faults. What’s not to like. Location, the views, the amazing staff, the restaurants. From the time we arrived to when we checked out the experience was second to none. Would go back in a heartbeat. the gym is a bit old and out-dated except this everything was perfect! The quality of the food, the confort of the bed, the size of the room, the wine serving by glass which is the best in the world! FERNCH RESTAURANT PRICEY AND JUST OKAY. 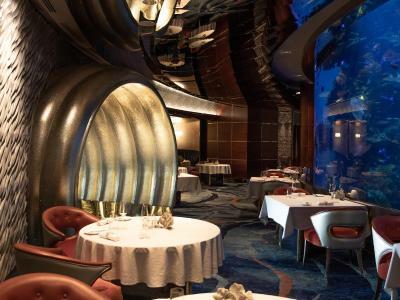 ATE PREVIOUS NIGHT AT "SOCIAL" AT WALDORF ASTORIA HEINZ BECK (OWNS GUIDE MICHELIN 3 STAR RISTORANTE IN ROME) OUTSTANDING FAR SUPERIOR MEAL PREPARED PERSONALLY BY BECK ABOUT SAME COST BUT VASTLY SUPERIOR. SUGGESTION-- 7 STAR HOTEL NEEDS TOP CHEF. International breakfast was bad. Poor selections of food. Phone in the hotel room could not be used. Staff service was slow. In the afternoon Feb.03 2019,we finished the lunch at the Scape Restaurant.We decided to walk around the hotel.when we walked near the stairs to the outside swim pool.A security man far away from us shake his hand to stop us.We didn’t know what’s his meaning.We looked at him,and he stopped there and looked at us.He stopped shaking his hands and didn’t come to us to explain.There wasn’t any notice near the stairs.We think maybe he shake to other people.We walked forward,the man still stopped there far away from us shake his hand too.We stopped and looked at him,he didn’t come to us yet.As a staff of the 7 stars hotel,shouldn’t he come to us and explain why he stop us quickly?I think the man is rude and rebarbative ,so that I think the hotel isn’t worthy of 7 stars hotel，even a 5 stars hotel.